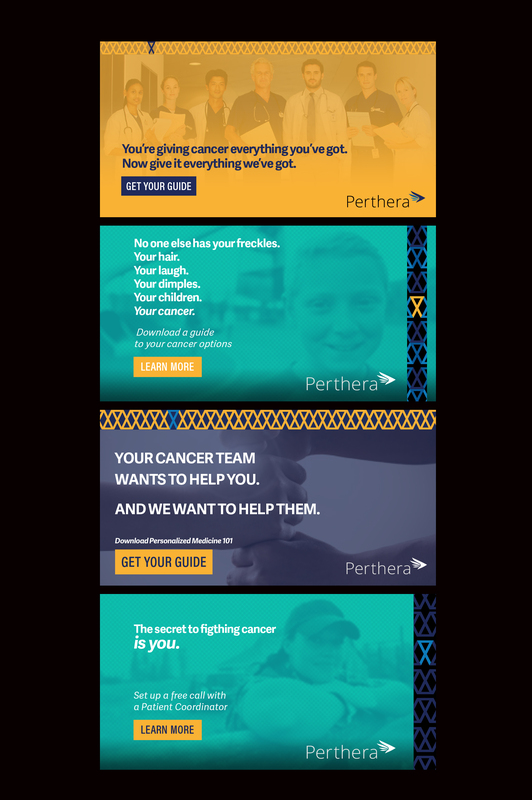 Perthera, a two-year old entry to the medical services market, has quickly become a leader in precision medicine and personalized cancer treatments, reviewing tumor biopsies and identifying treatment options to patients, their caregivers and oncologists. After a comprehensive review of the precision medicine market, Bluetext designed a new creative approach that will resonate with cancer patients, including logo, color palette and brand style that reaches across a new website and all collateral. In addition to a second, SEO-driven blog site called Cancer Treatment Options (CancerTreatmentOptions.com), Bluetext engineered a sophisticated Go-To-Market media strategy to reach patients through a variety of social and digital channels. A key element in the strategy Bluetext developed for Perthera is a blog site designed for maximum organic search results, leveraging a frequently-used term and helping to obtain the URL. As a source of news and information, the blog site is designed to appeal to both oncologists and patients. For oncologists, it pulls in the latest published research on the latest cancer treatment studies. For patients and caregivers, it offers patient-focused news and updates and other topics of interest. Each post is search-optimized, and cross-promotions to the Perthera site are throughout the platform. With Perthera, cutting-edge branding and campaigns means reach to its customers. We can do the same for you.